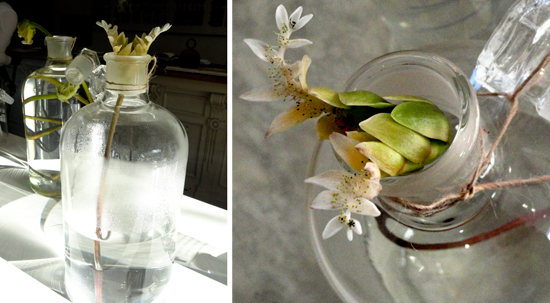 A perfect accompaniment to the cold, wet Cape winter weather is a warm pot of waterblommetjiebrede, made with the flowers of a waterlily plant – it’s about as traditional a stew as one can find in the Cape. Although we’re looking forward to using the fleshy older flowers in our bredie soon, we’ve been picking a few of the early crop, which are sweetly fragrant, decorative, and also nice to nibble on. How beautiful it is to have a pond strewn with flowers! 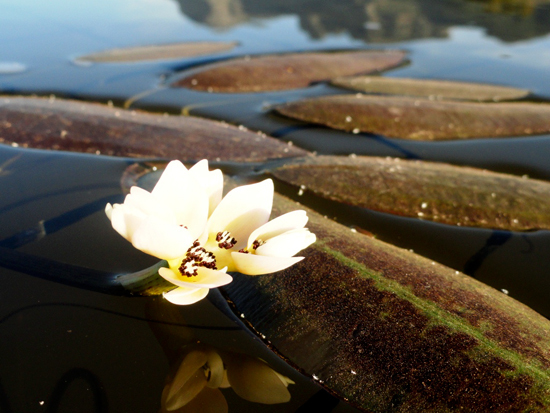 It is worth taking a moment to inhale their sweet fragrance and to gaze across the calm waters at the plants outlining the reflection of the Simonsberg Mountain. Wintertime in the Cape at its best. Where can i buy fresh waterblommetjies near Stellenbosch ? This time of the year, you can find them in your local Spar. Alternatively, try Potbelly Pantry near Klapmuts.